BMW has launched the X5M and the X6M in India at Rs Rs 1.55crore and Rs 1.6crore respectively, ex-showroom. Both the SUVs will be sold as CBUs in India and will go head-to-head with the Mercedes Benz ML63 AMG, Porsche Cayenne Turbo and the Range Rover Sport SVR. The BMW X5M and the X6M share a twin-turbo 4.4-litre V8 under the hood producing 575PS of power and 750Nm of torque with an 8-speed automatic gearbox that powers all four wheels through the BMW's xDrive system. BMW claims that both the cars can do the 0-100kmph sprint in 4.2 seconds, with an electronically limited top speed of 250kmph. The claimed fuel efficiency is 9.09kmpl for both the models. 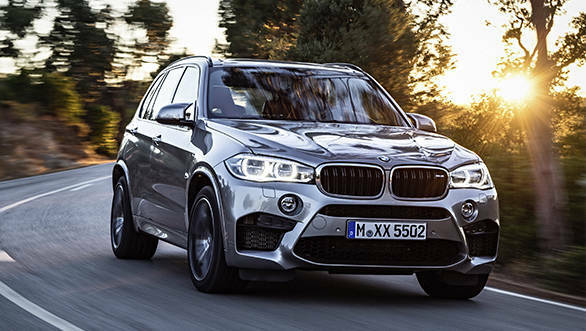 The BMW X5M and the X6M have a different body kit, an M steering wheel, 20-inch alloy wheels and exclusive M series detailing that we have seen on the other M cars. Both get a heads-up display as standard along with the iDrive infotainment system. On the safety front, the cars come with eight airbags and the usual plethora of driver aids.